The most important goal of your entire treatment—from surgery to rehabilitation, to the fitting of your prosthesis—is to help you attain the most function and mobility possible, so you can lead an active life. Your therapy team, which includes your doctors, therapists, prosthetists—and of course, you and your loved ones—will help you achieve the most independence possible. On average, this rehabilitation process takes between two to six months, although this can be affected by various factors, including your level of motivation and how well your prosthesis fits. Whether you’ve known about your amputation surgery for a while, or just found out, remember that you’re not alone. Your treatment team is there to support you, answer question—and find the best solutions for you. If possible, you should begin doing those therapy exercises you’ll use after amputation surgery before your surgery takes place. That way you can prepare your muscles in advance and hopefully make your recovery that much easier on you. 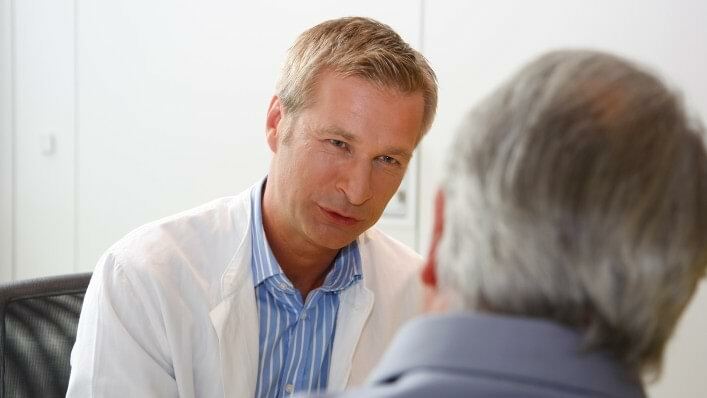 We recommend that you talk with peers who have also undergone amputation surgery. It’s good to hear how others deal with the situation, and in many cases they’ll also be able to share tips on everything from using your prosthesis to getting the right fit. Talk to your therapy team about how best to get in contact with peer support groups. Or visit Amputee Coalition. Find out more about what ‘amputation’ means, including types of amputation and possible causes. Amputation surgery may be necessary if an injured or diseased limb is not expected to heal and if your life is endangered as a result. Possible causes include circulation issues, infections, accidents, cancer, or a congenital malformation of the limb. In these cases, it is usually known well in advance that an amputation will become necessary. However, it is sometimes necessary to amputate unexpectedly, for example, due to a severe injury after an accident. There are many different amputation levels in the hand. They range from a digit or finger amputation, to a metacarpal amputation through the bones of the hand. For transcarpal (also known as ‘Below elbow’) amputations, the amputation occurs through the radius and the metacarpal bones. 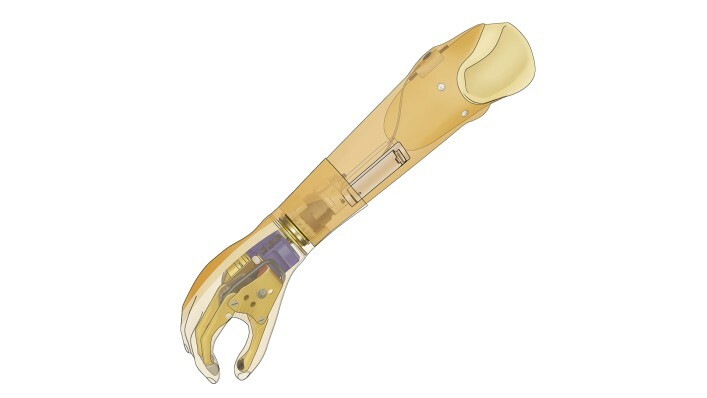 The prosthesis consists of a socket, which contains the residual limb (the amputated limb, colloquially referred to as the ‘stump’), and a terminal device, which can be a hand, a hook or a Greifer. The system will also include adapters and other connecting elements. A prosthesis can be disguised with a cosmetic cover so that it is hardly noticeable visually. 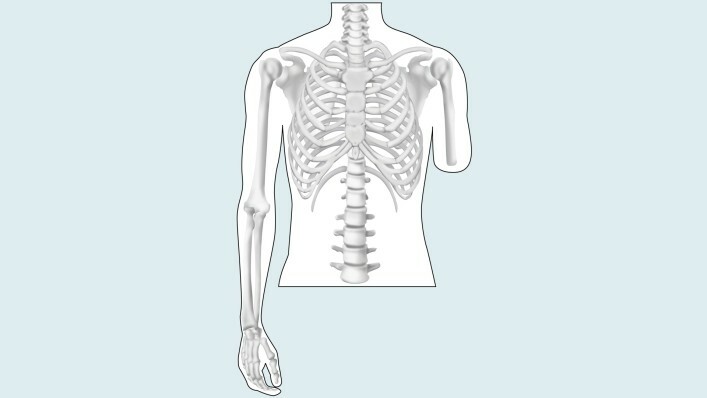 For transradial (also known as ‘below elbow’) amputations, the amputation occurs through the radius and ulna of the lower arm. The transradial prosthesis consists of a socket, which contains the residual limb (the amputated limb, colloquially referred to as the ‘stump’), the prosthetic wrist, and a terminal device, which can be a hand, a hook or a Greifer. The system will also include adapters and other connecting elements. A prosthesis can be disguised with a cosmetic cover so that it is hardly noticeable visually. In elbow disarticulation surgery the elbow joint is separated and the lower arm is removed. 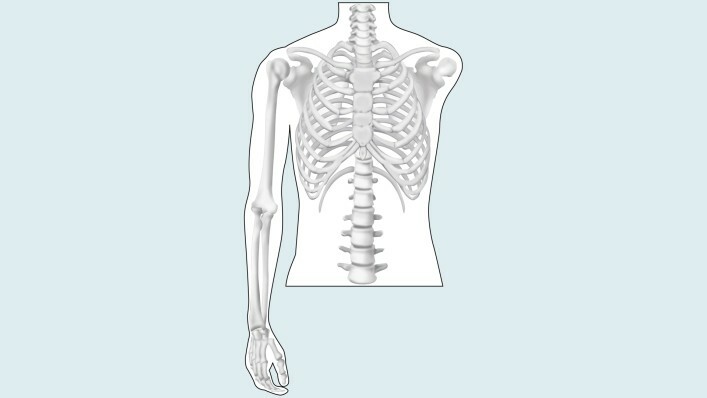 The entire upper arm (the humerus) is maintained. The prosthesis consists of a socket, which contains the residual limb (the amputated limb, colloquially referred to as the ‘stump’), a prosthetic elbow joint, a prosthetic wrist a terminal device, which can be a hand, a hook or a Greifer. The system will also include adapters and other connecting elements. A prosthesis can be disguised with a cosmetic cover so that it is hardly noticeable visually. 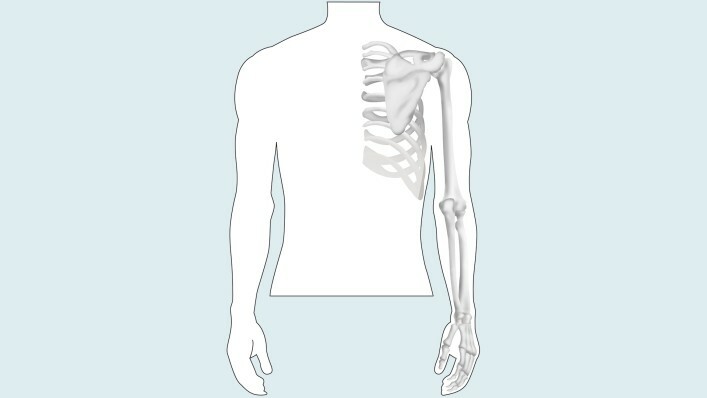 In a transhumeral amputation (also known as ‘above the elbow’), the amputation occurs through the upper arm bone (the humerus) , so that the elbow is no longer present. The prosthesis consists of a socket, which contains the residual limb (the amputated limb, colloquially referred to as the ‘stump’), a prosthetic elbow joint, a prosthetic wrist joint, and a terminal device, which can be a hand, a hook or a Greifer. The system will also include adapters and other connecting elements. A prosthesis can be disguised with a cosmetic cover so that it is hardly noticeable visually. 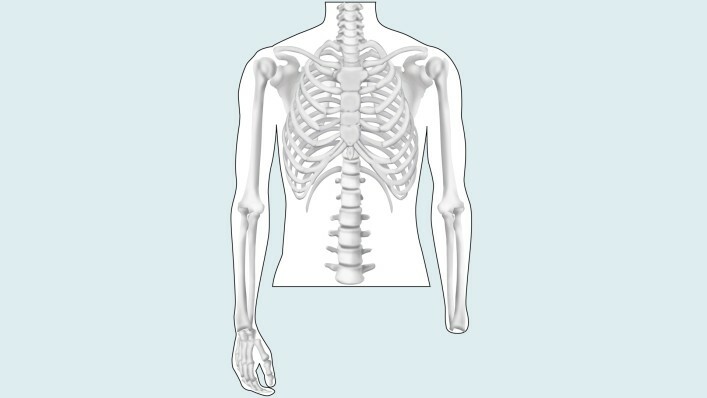 With a shoulder disarticulation, the amputation is performed where the upper arm bone (humerus) meets the rest of the shoulder (clavicle and scapula). The prosthesis consists of a socket, which contains the residuum (in this case the scapula and clavicle and upper portion of the trunk), a prosthetic shoulder joint, a prosthetic elbow joint, a prosthetic wrist joint, and a terminal device, which can be a hand, a hook or a Greifer. The system will also include adapters and other connecting elements. A prosthesis can be disguised with a cosmetic cover so that it is hardly noticeable visually. With a forequarter amputation, the upper arm bone (humerus) scapula, and clavicle, are all removed. The prosthesis consists of a socket, which contains the residuum (in this case the upper portion of the trunk, including the ribs), a prosthetic shoulder joint, a prosthetic elbow joint, a prosthetic wrist joint, and a terminal device, which can be a hand, a hook or a Greifer. The system will also include adapters and other connecting elements. A prosthesis can be disguised with a cosmetic cover so that it is hardly noticeable visually. Immediately after your operation, the focus will be on your recovery and the healing of your arm, also referred to as your residual limb. A healthy recovery is important so that you can start rehabilitation soon and be fitted with a prosthesis. Your treatment team will decide when you can start with intensive rehabilitation based on how your recovery is going. During your rehabilitation process, you’ll be fit with a prosthesis tailored to your specific needs, and supported by a rehabilitation team that could include physicians, physical therapists and occupational therapists, a prosthetist and nursing staff. These professionals are there to support you and to ensure that you are well prepared. During rehabilitation you will learn how to properly care for your residual limb, as well as the rest of your body. When you wake up from the anesthesia, your arm will have likely been treated with simple bandages with a small drainage tube leading out of it. This tube was laid into the wound during the operation so that wound seepage and blood can flow out of the wound, and will be removed from the wound during the healing process. In most cases the amputation wound closes and forms a scar within the first three to four weeks. But even if the scar looks like it has healed well from the outside and only the color of the scar tissue is changing slightly, complete healing of the scar may take significantly longer. During this period compression therapy and skin care creams are enormously important in helping the scar tissue remain soft and pliable—while simultaneously making it stable enough to wear a prosthesis. Even during your initial recovery in the hospital bed, it’s important that you maintain the correct body posture so that your muscles and joints do not shorten or stiffen – which could prevent full use of your joints. While most patients initially assume a comfortable, pain-free position, experience has shown this is not al¬ways ideal. In fact, the residual limb should be extended as much as possible—and under no circumstances should it be elevated for an extended period of time (such as on a cushion) because the muscles may shorten and residual limb mobility may be reduced. Elastic bandages are applied using a special wrapping technique after the wound bandage or residual limb cast, is removed. During the first few days and weeks after the operation, your residual limb will be bandaged by your therapist or by the nursing staff. This somewhat elaborate compression involving elastic bandages can be customized to your individual residual limb amputation level. The bandage will be removed frequently (initially as often as every half hour) in order to make sure the residual limb was not wrapped too tightly or too loosely. The caregiver will also check to see how the residual limb is developing, whether the edema is getting better, and how the scar is healing. After your limb has healed sufficiently, the compression bandage may only be worn for several hours at a time, for example, before and after wearing an interim prosthesis. Compression socks can also be used instead of bandages. The socks are elastic and available in various sizes. Custom sizes can also be made if the standard sizes do not fit you. Like elastic bandages, the socks must be washed daily and laid out to dry so that they do not lose their elasticity. The skin on the residual limb is often very sensitive following the surgery. There are ways to reduce these sensations: Take a soft brush or porcupine massage ball and use it to brush or tap the sensi¬tive area (Figure 1, 2). This decreases sensitivity. You can also rub down the residual limb with a rough towel or washcloth (Figure 3). Only use materials that you are comfortable with, and work from the end of the residual limb to-wards the body. Residual limb hygiene is also very important fol¬lowing wound healing. The residual limb must be washed daily using water and unscented skin-friendly soap. Ottobock care products can make residual limb care and cleaning easier (Figure 4). In most cases, the surgical wound closes within the first three to four weeks and a scar is formed. Even if the scar appears to have healed well from the outside and the appearance of the scar tissue appears to remain constant, the overall scar heal¬ing process can take much longer. It can take up to 18 months for the wound to heal completely un¬derneath the skin. You should moisturise your scar regularly from soon after the surgery as scar tissue lacks the ability to produce its own oils. Unscented creams are highly recommended. Such intensive care is important in order to ensure that the scar tissue remains soft and elastic while simultaneously be-coming resilient. 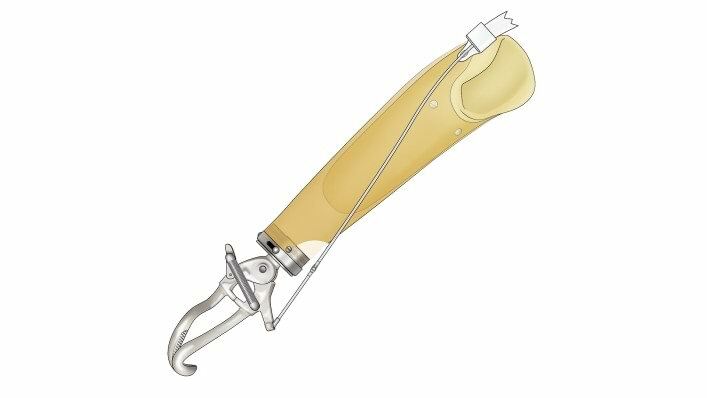 This is required so that you will be able to wear the prosthesis, since proper care prevents residual limb pain from developing in the prosthetic socket during movement. Early compression therapy is also important to affect scar formation. Full-coverage compression combined with a silicone interface is the best way to prevent the development of excessive scar tissue. 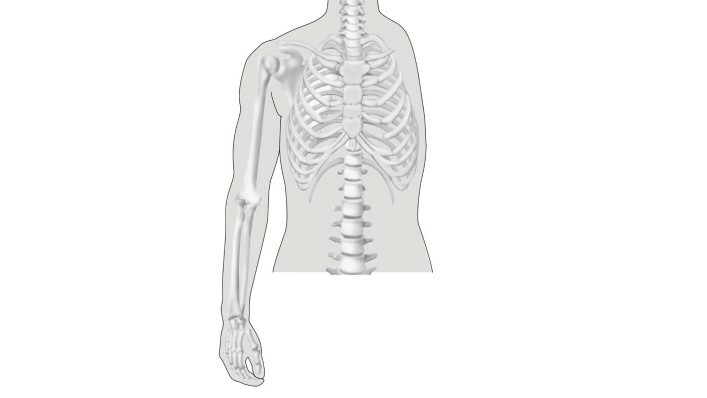 position of the missing body part. These sensations are not generally indicative of other problems and usually disappear within a month. A small number of patients suffer for a longer period of time from phantom limb pain, and there are several methods for treating this pain. 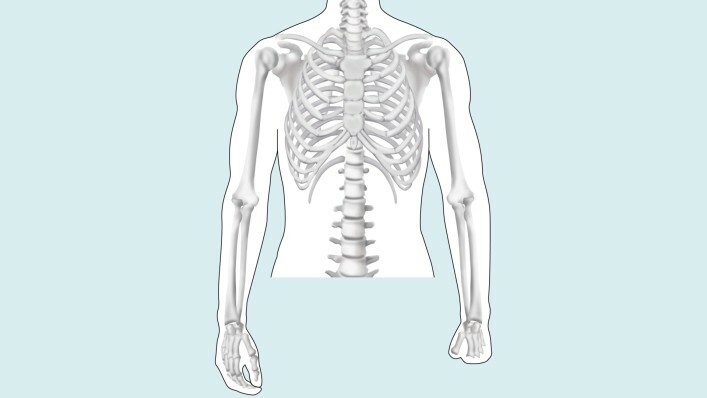 Surgery is sometimes used to shorten nerves and blood vessels that may be too long and riding on bone. There are also therapies that involve blocking the pain. For less invasive techniques, bandaging the limb with mild compression often alleviates phantom pain, as can wearing a prosthesis. Finally, mirror therapy has also been found to be helpful. With mirror therapy, the amputee uses a mirror between their legs or arms so that they only see their sound limb. They then move their sound side while also imagining that they are moving their amputated side. Physicians are not sure why this ‘reimagining’ the residual limb works, but the therapy has proven successful with many amputees. In order for your body to be well prepared for the next treatment steps and so that you remain mobile, exercises to stretch and strengthen the trunk, arm, and leg muscles are highly recommended. Have your physical therapist show you exercises which support your recovery and also train the joints near the amputation location as much as possible. 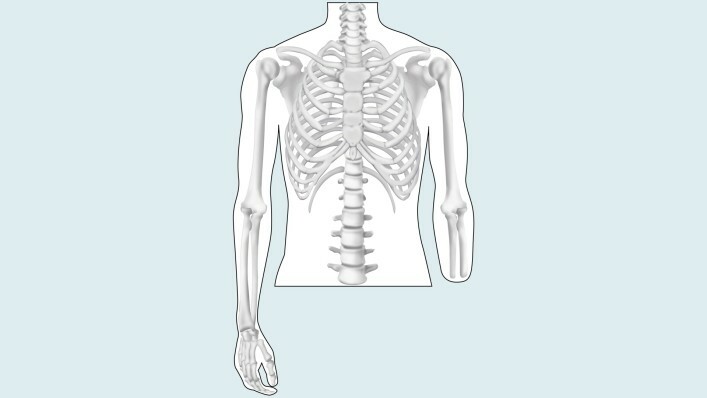 The muscles and joints around your residual limb – for example the shoulder joint – need stretching. If you have trouble moving these joints actively, it is possible to use a towel to passively stretch them. It’s important that you maintain or regain maximum joint mobility. Training of the sound side follows, depending on whether your dominant hand or the opposite hand was affected. Fine motor skills, dexterity and strength training will be practiced. The more capable you are with your sound hand, the better you’ll be able to perform Activities of Daily Living and take care of yourself. It’s important to practice challeng¬ing activities such as writing or brushing your teeth. Because the loss of a limb also causes the loss of weight on the amputated side—which can lead to imbalance and poor posture—it’s important to pay special attention to keeping your torso in balance and maintaining a healthy back. Back exercises can aid in this maintenance. Special attention to these things before the prosthetic fitting can prevent the development of any malpositions and make it easier to transition to using your prosthesis. Once you start wearing the prosthesis, its weight compensates for the loss of mass. If malpositions have already developed, special exercises can be used to correct this or prevent further progression. A stable and balanced torso will make it easier to control your prosthesis. Once your residual limb has been properly formed you’ll learn more about your prosthesis. You’ll be instructed in how to take care of it as well as your residual limb, and you’ll also begin training with it. 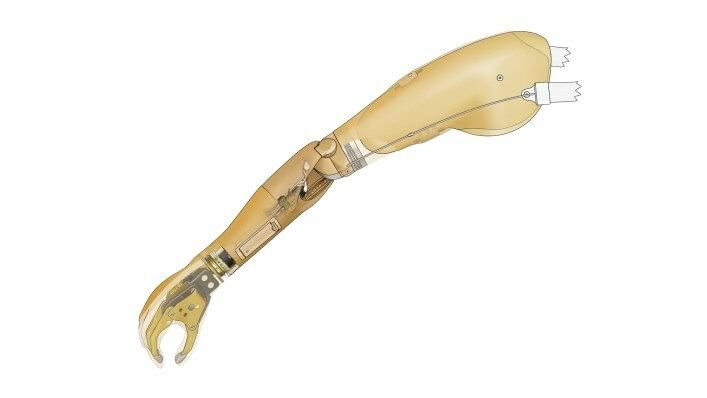 There are three main types of upper limb prosthetic fittings: body-powered, myoelectric and hybrid, which is a combination of the other two. Body-powered systems use a harness with cables to move the prosthesis. By engaging larger muscles, the cables can open and close a hook or hand, as well as an elbow or shoulder joint. With myoelectric systems, the prosthesis actually takes advantage of the natural signals that your muscles generate when they are used. Small sensors, known as electrodes, measure and amplify these muscle (or ‘myoelectric’) signals and are used to activate various functions of the prosthesis, such as opening or closing the hand. Batteries are used to power the motors that make these movements. Hybrid systems take advantage of both systems. 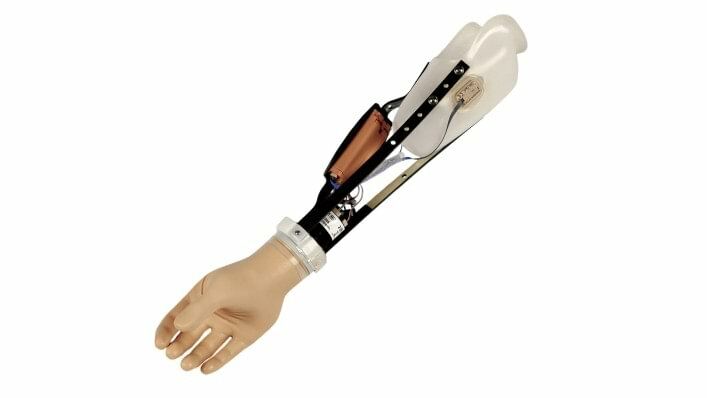 A hybrid system may have a myoelectrically controlled hand and wrist, with a body-powered elbow joint. Each system has its own advantages and disadvantages. Myoelectic systems have the advantage of using the remnant muscles originally used, for example, for opening and closing the hand, while body-powered systems have to use muscle groups that were not originally intended for those actions. Myoelectric systems may also look more cosmetic—with that trade-off that it may not be as rugged as a body-powered system. Your prosthetist will talk to your about your goals and needs and will help you determine which solution will be best for your needs. Socket fit is very important. Think of it as a shoe: if it doesn’t fit well, you can’t walk well—no matter how many socks you wear. Once the socket as been customized for your unique anatomy, a definitive socket will be fabricated from lightweight thermoplastic or carbon fiber. The prosthetic components are then attached to this socket. There are different ways to put your prosthesis depending on the type of prosthesis you have and the condition of your residual limb. Your therapist will show you which ones are suitable for you. cleaned every day, too. Wipe the inside of the socket with a moist cloth to remove sweat residue and skin particles. Finally, if you have a myoelectric system, you’ll likely have to charge the batteries daily. 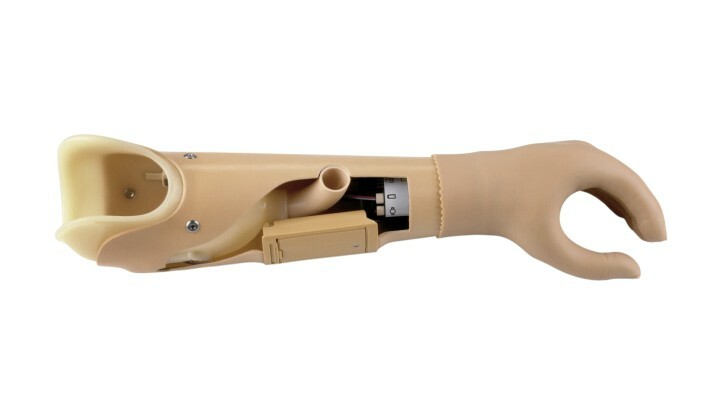 Depending on the components used in your prosthesis, controls training will teach you how to open and close your terminal device or hand, rotate it internally and externally, and, in case of higher level amputations, how to flex or extend the elbow and shoulder. Think of controls training as learning about all the controls for driving a car—without really driving yet. Repetitive drills is where you begin to practice ‘driving the car’. You’ll practice making specific movement patterns. The more you practice the better you’ll get at remaining relaxed while performing the movements, and the more auto¬mated the movements will become. With enough repetition, you’ll be able to simply make a movement, instead of thinking about it. Suitable exercise accessories include cones, vari¬ous peg board games or a pinch tree with indi¬vidual pegs (Figure 1), which are changed in their vertical or horizontal positions. This means you have to purposefully rotate and grip with your prosthetic hand. OK, now you’ve got your ‘driver’s license’, so to speak. After the repetitive drills, you’ll be ready for more complex movements that you’ll encounter in everyday life. Your therapist may tailor this training you your personal goals and needs, depending on your day-to-day life and occupation. You may begin with simpler activities such as folding a towel, and then work your way up to things such as preparing a complete meal and eating it with a knife and fork (Fig¬ure 3). ADL training may also include getting dressed and undressed; opening a bottle and pouring a drink; and using a computer and office tools. If you experience difficulties with your new prosthe¬sis while performing certain activities, various as¬sistive devices may be used to increase your inde¬pendence. Your therapist can determine whether this is an option for you. However, the “less is more” rule applies to all de¬vices; the fewer devices you need, the greater your day-to-day independence. If you use many specialized devices in your home environment, it will be more difficult to function outside the home without those devices. Of course, it’s also important to be physically fit, and your prosthesis will help you participate in more sports and leisure activities. Talk to your therapist about strategies for getting the most out of your prosthesis. Standard contact info to be inserted here. We’ve collected a variety of helpful links if you’d like further information.